Ever since what’s-her-name in Kentucky refused to do her job as an elected official there have been quite a few posts and articles on both sides of this story. The funny thing is that there is only one right answer. This is one of those things that is so basic, so foundational to what our country is all about, I am appalled that people running for the Presidency of the United States don’t get it right. But, then again, part of the character of this country is that anyone can run for office. Here’s the fundamental principle – We are a nation of laws, not religions. We are bound to uphold the laws and we are entitled to practice religion with freedom. Let me say it another way. Religion is a right of the individual. At the same time, the individual is also a citizen whose citizenship mandates that they live within the law. People have power because of their rights. Governments have power because we have agreed they can enact laws by which we will abide. For reference, it is the First Amendment to our constitution which guarantees the right to practice whatever religion you want. Gorgeous. Just absolutely gorgeous. In just 45 words we are granted our individual freedoms. Except for that gun thing. That is in the Second Amendment. There is a lot written about this amendment and what James Madison had in mind, but it seems pretty self explanatory. And the semicolons are cool. I could go into how you can trace the First Amendment back to the hypocrisy of the Purita ns who were among the first to come the America to gain religious freedom. As soon as they established themselves, they proceeded to persecute anyone who didn’t agree with their religion. Indeed, they controlled the government. They were what we term “bullies”. Indeed, when you look back in history just about any government run by a religion ended up being a bully. I could go into it, but I won’t. 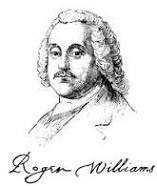 I could go into how Roger Williams got so fed up with the Puritans that he founded Rhode Island and made it a state that tolerated real religious freedom. He was a staunch believer in the separation of church and state because when religion got embedded in politics, it diminished the religion. So, much of the ideal of the first amendment came from Williams. I could get into that, but I won’t. I could go into the beauty of the Bill of Rights. Do you know what that is? Just in case you don’t (‘cause Sarah Palin doesn’t seem to know), I’ll explain. The Bill of Rights is the first ten amendments of the US Constitution. They were originally incorporated in the body of the Constitution, but pulled into the amendments because they were different. The Constitution was about the form of the government and how the three branches of the government were to be organized to balance each other out. The Bill of Rights is just that – the most foundational statement of the rights of the individual in relation to the government. How beautiful is that? I could go into how they evolved, but I won’t. I could explain that James Madison and a few others drafted most of the Constitution and then he wrote the Bill of Rights. 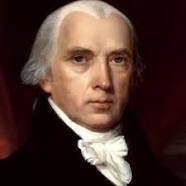 Many of his ideas had been formed when he was one of the authors of the Federalist Papers, which helped form the government that became entitled under the US Constitution. Madison was a Theist, like Jefferson. They believed in a God, but not necessarily in religion. Interesting? So for Madison, the separation of religion reason. In his mind, religion would corrupt government. So funny. In our 21st century there are great examples of corruption going both ways. What I get from this is it is men who corrupt, not government or religion. I could go further into this concept, but I won’t. I could go into the first phrase that basically says the government can not proclaim a religion. That is the fundamental separation of church and state. What’s cool about it is that it is mandated in the Bill of Rights, which is all about protecting the rights of the individual. In its way, the Bill of Rights puts the individual’s rights ahead of the power of the government. And in order to assure that, it says the government can’t get into religion. This is the part of the First Amendment that the chick in Kentucky forgot to read. I could go into how this came from that whole Church of England thing with Kings and divorce and beheadings and great plots for movies, but I won’t. I could take a step back and remind all of you that before the US Constitution was accepted we operated under the Articles of Confederation. In short, the Articles were all about states rights and no or very limited federal government. It was a dismal failure. Which makes me wonder why anyone in their right mind thinks we ought to empower the states even more to manage common rights and services, like healthcare and education. Yeah, I don’t like big government, but I also would hate having to have a different currency for every state I traveled to. That was the reality back then. Different currencies. What a freakin’ mess. I could go into more of why it failed, but I won’t. I could go into how wonderfully those first ten amendments are written. They are all short, to the point, hard to misinterpret (yes, even the gun thing) and foundational. Compare those ten to those that followed and you will truly respect the absolute genius of the Bill of Rights. As a writer they are the greatest example of the power of words and brevity that I can point anyone to. I could review them all, but I won’t. What I will do is state without a doubt that I love our Constitution. I take it personally. Every day I exercise all kinds of freedoms that james Madison guaranteed me and that our Founding Fathers supported. 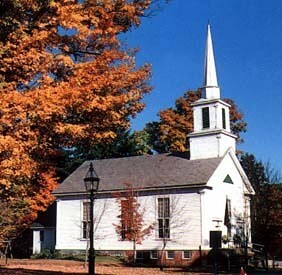 Every day I am grateful that there are 10 churches in or near the small town of 15,000 where I live. They almost outnumber the pizza parlors, but not quite. Pizza is a religion here in New England. I don’t go to any of them, but I love that people are free to worship in any way they want. I am grateful that I can write that last sentence and not fear that some zealot is going to put a black bag over my head and…well, you know what I mean. We are a nation of laws. Those laws guarantee that we have the right to practice whatever religion we want, within the guardrails of civil justice. So, that chick in Kentucky is just wrong. Period. And her lamentations are an affront to my Bill of Rights and the freedoms the generations before me (including my dad who fought in WW2) lived and died for. And that isn’t just my opinion. It is a fact. She is wrong. Period. Take time today recognize how many times you exercise the freedoms guaranteed in the Bill of Rights or even just the First Amendment. I think you’ll be surprised how much you actually take for granted. Especially on Facebook. Geez. And, if I may, our greatest freedom is the freedom of movement. So go run and run free!